History “may not repeat itself”, but the saga of US subprime loans and their after-effects on global financial markets ‘rhymes’ it. The rocking of the Northern Rock —the 7th biggest bank and the 5th biggest mortgage lender of the UK that has been hit by the US subprime mayhem which, as Martin Feldstein of Harvard University argued, “Triggered a substantial widening of all credit spreads and freezing of much of the credit markets” across the globe—by its depositors who queued up in front of its branches to withdraw cash appeared to have at last eased with the Finance Minister, Alistair Darling announcing that the Bank of England, which incidentally stood stoically among the major central banks in the current game of pumping liquidity into markets besides cutting interest rates, would guarantee all existing deposits in Northern Rock. Indications are that Darling’s pledge to do “everything we can to ensure that the market returns to normal” after a panicked run on the Northern Rock Bank has quelled the crisis. Reports reveal that in a single day, depositors have withdrawn about £1 bn, which amounts to over 6% of its deposits. Its shares have fallen by more than 30%, and it simultaneously pulled down the prices of other bank shares. Northern Bank is, perhaps, the first bank of the UK in decades to be bailed out by the regulators by providing an open-ended facility, whereupon it can access liquidity by posting mortgages or mortgage-backed securities as collateral. All this has at last saved the bank from the embarrassment of long queues of depositors lining up outside Northern Rock branches across Britain to withdraw their deposits. 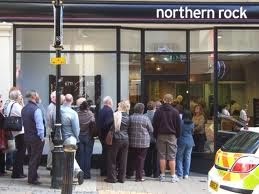 This ‘run’ on Northern Rock takes us back to 1907, when the US banks experienced a similar crisis. Indeed, the ‘Panic of 1907’ was the most severe of the bank panics that overwhelmed the US banks. It all started with the failure of one, F Augustus Henze’s scheme to corner the stock of a not so important company—United Copper Company. But this failure exposed Henze’s and his close “associate’s intricate network of interlocking directorates” across banks, brokerage houses, and trust companies of New York City. Under normal financial conditions, this would not have made much difference, but the fall of 1907 was different: economy had been slowing, stock market was witnessing downtrend, and interest rates were on the rise. Over and above this, owing to rising interest rates in England, the usual seasonal inflow of gold into New York was not happening. Nor could the money supply be expanded in the absence of a Central Bank in those days of National Banking era. Amidst this, Henze was forced to resign from the presidency of Mercantile National Bank. This made the anxious bank depositors to begin a run on the bank. Depositors began runs on even several banks controlled by Henze’s associate. By October 21, the panic spread to the trust companies, with National Bank of Commerce declining to clear the cheques for the Knickerbocker Trust Company, the third largest trust in New York City. Incidentally, trust banks, as a group, are different from commercial and investment banks. They were administrators of trust funds—investors of the money of estates, wills, and the like—but in the process created a tenuous link to the markets by virtue of their making loans to market speculators, of course against collaterals, and because of this ‘interconnectedness’ any fall in stock market would hurt them badly. And, there being no Central Bank—lender-of-the-last-resort—in those days, there were none to loan these bodies money and prop them up. That is when JP Morgan entered the scene by convening a meeting of trust company executives to work out a mechanism to arrest further spread of the panic. Under his directions, experts evaluated banks to identify those worthy of assistance. Morgan and his associates convinced others to deposit personal cash in banks and help tide over the crisis. Aid, thus, began coming from all sides: JD Rockefeller deposited $10 mn with the Union Trust, while Morgan channeled around $3 mn to Trust Company of America. By October 24, the panic spread to the New York Stock Exchange: call money rates shot up to 100%. And even at that rate no money was available. Again Morgan stepped into the stock market providing capital from the pooled funds. On October 26, the clearinghouse entered the scene issuing clearinghouse loan certificates as an artificial means to increase the supply of currency with banks against the collateral of illiquid assets of banks. The banks that borrowed against their illiquid assets from the clearinghouse in the form of certificates had to pay interest on them. The certificates were then used to honor inter-bank obligations where they replaced cash, which could then be used to pay depositors. Under this arrangement of private clearinghouse system, member banks’ applications for loan certificates were treated as confidential. In other words, the system had not revealed the name of the weak member bank. The clearinghouse certificates had functioned as a risk-sharing device by enabling members to jointly assume the risk, which the individual member banks could not have achieved. During the ‘Panic of 1907’, clearinghouse loan certificates worth about $500 mn circulated among the banks as a ‘principal means of payment’. Ultimately, it was the confidence restoring act of JP Morgan, who worked together with the Secretary of the Treasury and a few bank chiefs, that had seen the transfer of money to troubled banks and to buy stocks, which ultimately calmed the markets. Now, the fundamental question is: Why banking panics? To understand the underlying reasons for the panic, we must first define what a ‘banking panic’ is. Calomiris and Gorton defined panic as an event in which bank debt holders (depositors) at many or even all banks in the banking system suddenly demand that their banks convert their debt claims into cash (at par) to such an extent that banks cannot jointly honor these demands and suspend convertibility. According to them, a panic is a system-wide phenomenon. And so long as the banks are in a position to honor the withdrawals of large amounts, then such withdrawals cannot be called panics. Similarly, a run on a single bank cannot be said as banking panic. The reasons for such panics, therefore, cannot be one or two, but certainly a convergence of many. And there is always a trigger—a shock that emanates from a sudden news, just as the news of Heinze’s failure to corner the stocks of United Copper in 1907 that made depositors to suddenly doubt the liquidity or solvency of their banks and decide to hold cash rather than deposits, leading to a run on one followed by many, ultimately precipitating into a panic. Robert Bruner and Sean Carr, the authors of The Panic of 1907, have indeed cited as many as seven conditions that jointly generated a perfect storm in the markets leading to the panic of 1907: buoyant economic growth, the emergence of newer, complex financial products that are difficult to value, inadequate safety buffers, poor governmental leadership, over-optimism in markets, an economic shock, and absence of collective action on the part of government and corporations to stave off an impending crisis. And the recent mayhem in global financial markets that the US subprime loans caused is indeed a testimony to the conclusions drawn by Robert Bruner and Sean Carr regarding bank panics. That is, in fact, what even the general history of the bank panics reveal: “banking panics are not a manifestation of an inherent problem with banks”, but an amalgamation of unfavorable circumstances that finally makes banks end up in ‘runs’ leading to panic in the market as indeed is happening today in the global financial markets that are rocked by the US subprime loans. This is further evidenced by the argument of Gorton and Huang that the likelihood of bank panics depends on the structure of the banking system of a country. If a country’s banking system consists of large size banks with wide branch network, there is a less chance for banking panics, for they are better equipped to wither a storm by virtue of their spread across a wide geography coupled with varied kinds of businesses. On the other hand, if the banking system is predominantly made up of small banks with undiversified network, panics are more likely. Based on an extensive study, Bordo opined that most severe cyclical contractions in all countries were associated with stock market crises, but not with banking panics, except for the US. Another important revelation of research is that bank panics “come at or near business cycle peaks”. Grossman, studying the experience of Britain and Canada and a few other countries inferred that the ‘exceptional stability’ exhibited by banks in these countries is basically due to: the structure of banking system in these countries, macroeconomic policy and performance, and the behavior of the lender-of-the-last-resort. Incidentally, bank panics have a positive side: they serve an important economic function. They induce better monitoring by depositors. This may also induce banks to form coalitions and engage in self-monitoring. Indeed, history has shown that private bank coalitions facilitate efficient ways of monitoring, for panics impose ‘externalities’ on banks that are doing well, forcing them to subsidize those who are not doing well, besides monitoring them well. This is perhaps one reason why coalitions are found occurring only when panics are in motion. Nonetheless, private bank coalitions have functioned well as lenders-of-the-last-resort and thus provided a sort of deposit insurance during the panic of 1907, which function has, of course, today been taken over by the Central Banks. Indeed, it is the hero of the ‘Panic of 1907’, JP Morgan and his role in bailing out the banks donning the role of the lender-of-the-last-resort that paved the way for the establishment of the US Federal Reserve. The first lesson that comes to mind out of the foregoing arguments is that Central Banks have a great role in averting such panics, and if they occur, in prudently mitigating the adverse consequences as indeed the Fed and the Bank of England attempted in the recent crises. The Central Banks should build such a supervisory architecture that would enable them to deal with disaster myopia and exposure to large shocks of unknown probability. Identification of weak banks may be sufficient for managing crisis, but this mechanism is inadequate for the prevention of crisis. To prevent crisis, Central Banks must essentially aim at identifying banks that are getting heavily exposed to a major shock. Identification of emerging sources of systemic vulnerability entails a continuing inter-play between assessing the exposure of a bank to a particular shock and assessing the probability of that shock happening. Once vulnerability is measured using relevant data, the Central Bank must pass on the information to the concerned bank with instructions to assess if the exposure is prudent. If, on the other hand, the bank is found taking such exposure deliberately, it must be asked to undertake a specific stress test in order to ensure that it has the ability to absorb such shocks. As against this requirement, in today’s financial markets, there is a lack of information and transparency about risk. As Charles Goodhart, emeritus professor of banking and finance, London School of Economics, observed, even Central Banks are complaining about the on-going financial innovation that has made identification of risk concentration very difficult. A need thus arises for the regulators to overcome the hurdle by inventing effective means to acquire and monitor such information. The other issue, which Charles Goodhart rightly brought out, is the need to incorporate the information about contingency claims on banks to monitoring authorities, for they have the nasty habit of transforming into very real claims during a period of stress. Regulators have to, therefore, call for such information and monitor it systematically. There is a need for pragmatic leadership such as that of JP Morgan during 1907 panic to handle the crisis, to build confidence in the markets and thereby calm them, for no government worth its salt can be oblivious to the fact that the developments in financial markets will leave their adverse impact on many citizens who are in fact outside the markets. As Bagehot argued in 1873 and JP Morgan proved in 1907 panic, Central Banks, in a crisis, should lend liberally on collateral that ‘would be good’ under normal circumstances, but should charge a high rate of interest. Leadership should always bear in mind that Central Banking, as Goodhart argued, evolved as a response to banks’ inability to cope with panics. It may not always be wise to take a stand that Central Bank “must not let the mistakes made by some impose on those that made no mistake a high price,” for it would unwittingly penalize those who have made no mistake—the depositors, for the mistake of its executors, the banks. Bernanke was right when he said, “…it is not the responsibility of the Fed—nor would it be appropriate—to protect lenders and investors from the consequences of their financial decisions”. But can a Central Banker afford to let the economy take a downturn, for it may prove far more costlier than the costs imposed by the erring market players? That’s what indeed Fed ultimately did: cut the Fed rate by 50 basis points. In all this argument against Central Banks bailing out the erring banks, what emerges as the central point is the moral hazard: the risk of encouraging erring players to continue with their risk-taking behavior under the knowledge that Central Bank will bail them out. It is therefore the Central Banks’ duty to draw a clear demarcation of helping those who are illiquid that too, at a high cost, just as Bank of England did in the case of Northern Rock, and refrain from supporting those who are insolvent. It is, no doubt, a big challenge to Central Banks to mitigate such crises in markets without transgressing the moral hazard, for the demarcation between illiquidity and insolvency is quite fuzzy. 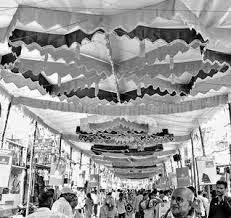 But they have no alternative except to handle the predicament with effective ex-ante monitoring.